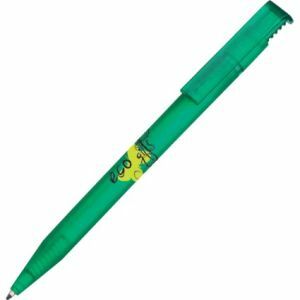 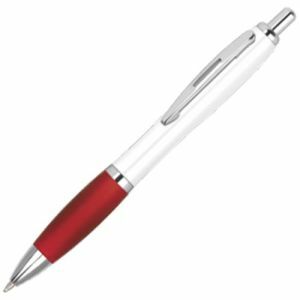 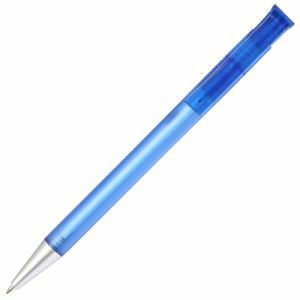 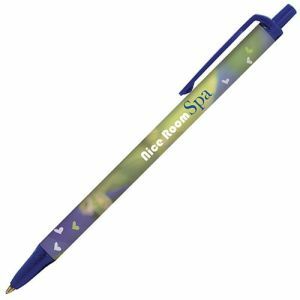 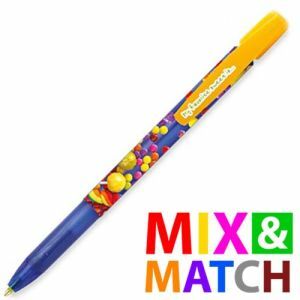 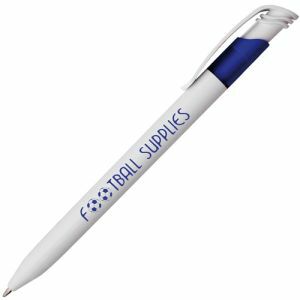 From as low as 10p, a plastic branded pen could get your company logo into the hands of your potential customers and keep it there for months. 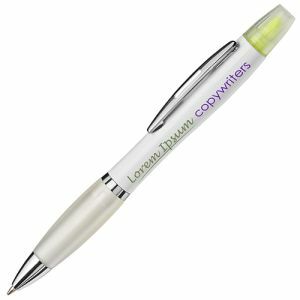 A budget-friendly reminder of your business or marketing campaign with every sentence written. Whatever the size of your company, at some point you’re certain to require something cheap and cheerful to promote your brand. There are a variety of styles and colours to choose from and just because the price is low doesn’t mean the quality has to be. 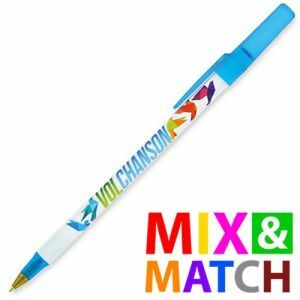 We even have eco-friendly, full colour, express and mix and match colour options to offer you. 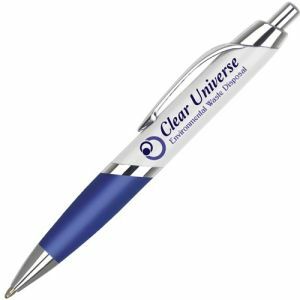 If a deadline has snuck up on you, if you’ve been let down by another supplier, or perhaps you have a last-minute event you need some low-cost giveaways for, then plastic branded pens can be delivered fast without the extortionate prices that express products usually incur. 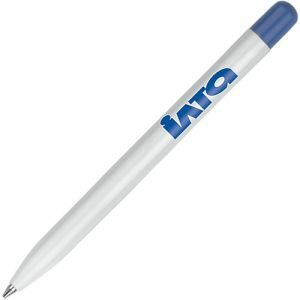 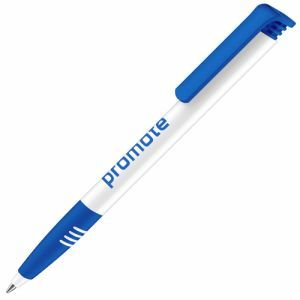 Many of our promotional pens can be dispatched in just 48 hours at great low prices. 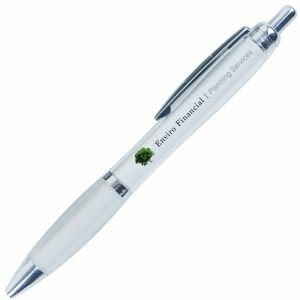 Our corporate branded Electra Enterprise Ballpens could be on their way to you in just 2 working days from proof approval. A classic example of where a quality look and feel doesn’t have to cost the earth. 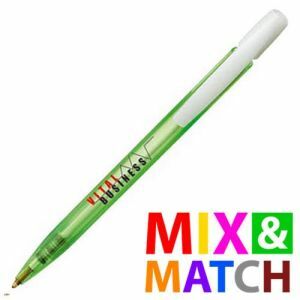 They are made from composite plastic with the appearance and feel of a metal pen but for a fraction of the price! 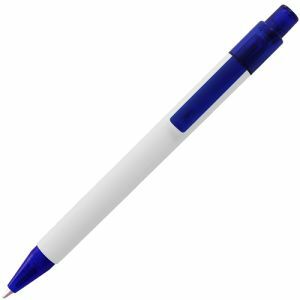 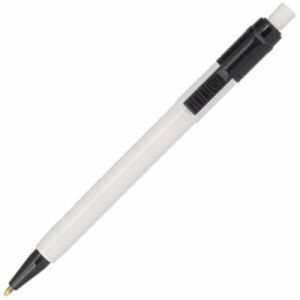 Or if you’re after something quick that’s even cheaper still, our Solid Calico Ballpens have been a favourite of our customers for years, complete with ribbed retractable mechanism and dispatched in 48 hours at one of the lowest prices out there. Or if you can wait an extra day, our Express Contour Extra Ballpens can be dispatched in 72 hours for an even lower price, in the same shape as the best-selling promotional Curvy Pen. It’s becoming more and more important to advertise your company in an eco-friendly light. 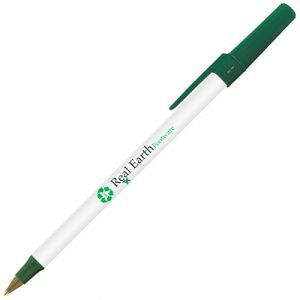 Customers are more likely to choose a brand that shows responsibility for the environment than one who doesn’t. So if you have a bit more give in your deadline, there are some low cost printed pens made from recycled materials to really flaunt your ‘green’ credentials. The Contour Eco Ballpens are manufactured from recycled plastic with all the style of their renowned siblings. 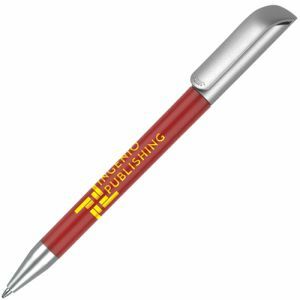 They can even be printed in eye-catching full colour for maximum exposure. 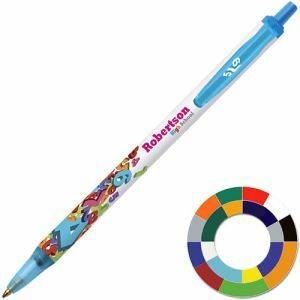 Full colour print can allow you to customise branded pens with more detailed artwork or photographic designs with lots of gradients in high impact colour. 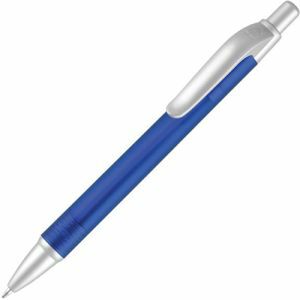 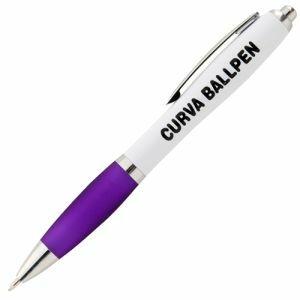 An all-around favourite promotional gift, the printed Curvy Ballpen has an undulating shape that allows for a larger printing area than most standard plastic pens. Ready for printing in up to full colour and available in a wide choice of colours. For an even larger area to advertise your full colour marketing campaign, we also do a 360 degree wrap version of the Curvy, the Contour 360 Wrap Ballpen. 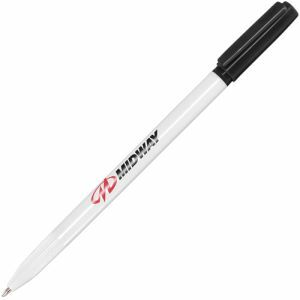 Not to mention a handful of other full wrap branded pens to further extend your promotional needs. All made from lightweight yet durable plastic for the lowest prices in the UK. 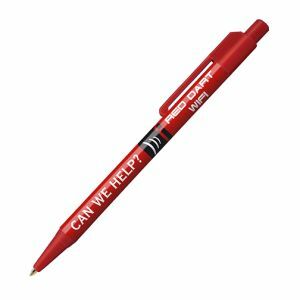 Or if you have a budget that can stretch a little further and can't find what you're looking for here, we also sell printed premium plastic pens and custom metal pens with equal advertising potential.